These notes are provided to help you understand the diagnosis or possible diagnosis of cancer in your pet. For general information on cancer in pets ask for our handout "What is Cancer". Your veterinarian may suggest certain tests to help confirm or eliminate diagnosis, and to help assess treatment options and likely outcomes. Because individual situations and responses vary, and because cancers often behave unpredictably, science can only give us a guide. However, information and understanding about tumors and their treatment n animals is improving all the time. What are histiocytes and what do they do? The histiocyte group of cells are part of the body's immune surveillance system. They take up and process foreign antigens, such as pollens and microorganisms. They then migrate to the local lymph nodes. Here they present the antigens to other immune system cells (T lymphocytes) to stimulate them into a variety of activities to protect the body (immunity). The cells that proliferate in cutaneous histiocytosis are usually histiocytes of Langerhans cell origin. These cells were first recognized under the microscope in 1868 by a medical student, Paul Langerhans. Cutaneous (reactive) histiocytosis is an uncommon condition of dogs. The condition is poorly described in the scientific literature and has various grades all of which may be found in one animal. Other names include "sterile" granuloma/pyogranuloma syndrome. It is a non-cancerous proliferation of mixed reactive cells, predominantly histiocytes but also may include white blood cells (neutrophils) and lymphocytes. "It is a non-cancerous proliferation of mixed reactive cells." Sometimes, cutaneous histiocytosis is caused by an infection. Histiocytosis therefore does not have a predictable response to treatment but some cases resolve with immunosuppressive therapy. Some cases are recurrent and very occasionally they are pre-cancerous. Histiocytic tumors originate from histiocytic cells and occur in both dogs and cats. The classification is still controversial. Histiocytic sarcoma is a locally recurrent and potentially systemic (widespread through the body) tumor that grades into systemic histiocytosis with multiple sites through the body. Cutaneous, reactive histiocytosis is an immune dysfunction, mainly of young dogs and probably due to persistent antigenic stimulation by a variety of antigens (foreign proteins). Although some specific infections will cause this reaction, the cause of most cases remains undetermined. 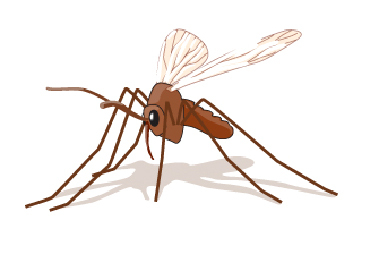 It has been suggested that some are vector (tick or insect) transmitted infections that provide antigenic stimulation but no organism is detectable by routine microbiology. Treatment reduces the pathological immune reaction, so there is clinical improvement but not cure. Possible microorganisms include Bartonella, Borrelia, Coxiella, Ehrlichia, Hepatozoon and Rickettsia species, all of which are infections transmissible by ticks. In some cases, there is a history of contact with rodents, which may be a source of infection. In areas where the microorganism Leishmania is endemic (e.g. Mediterranean coasts), Leishmaniaantigens have been found in approximately half the cases. In older dogs, cutaneous histiocytosis is rare but may be a sign of underlying diseases such as diabetes, hepatic dysfunction or cancer. In puppies, juvenile sterile granulomatous dermatitis and lymphadenitis ("puppy strangles") is clinically similar. Canine leproid granulomas are clinically similar to reactive histiocytosis. These are not recorded in Europe but have been identified in Africa, Australia, South America, New Zealand and the USA. Some contain bacteria called Mycobacteria (of the same family but distinct from tuberculosis bacteria). These lesions also regress spontaneously. They are usually on the ears and there is a high incidence in thin coated dogs, particularly Boxers and Bull Terriers. This suggests they are transmitted by insect or tick bites. The relationship to reactive histiocytosis is uncertain. Cancers of histiocytic cells are in part due to a genetic tendency to develop cancer. The role of infections is not clear. These are uncommon to rare conditions. In temperate regions of the world, cutaneous reactive histiocytosis affects mainly young dogs, often Collies, Springer Spaniels and Golden Retrievers. Puppy strangles is rare. A hereditary or genetic cause is supported by an increased incidence in some breeds, including yellow Labradors and Golden Retrievers, Dachshunds and Lhasa Apsos. Breeding from affected pups is therefore not advisable. Histiocytic sarcomas are predominantly found in middle-aged to older animals. The tumors are common in the Bernese Mountain dog and also have a predilection for Rottweiler and Golden Retriever breeds. Systemic histiocytosis of the Bernese Mountain dog has a polygenic mode of inheritance. Tumors are rare in cats. The reactive disease is noticed as lumps under the skin. Often these are multiple and grow rapidly. The nodules may also occur inside the mouth and nose. Around the eyes, particularly on the sclera, this disease is difficult to distinguish from nodular fasciitis, which has similar clinical features and response to therapy. The reaction may last for weeks to months, spreading outwards from the initial lesions, which may sink in the center. Ulceration and secondary infection are significant problems. The lesions may wax and wane. Many are on the face or ears although Springer Spaniels more often have flank lesions. The disease is sometimes severe enough to consider euthanasia. Very rarely, it may progress to malignancy. The local lymph nodes may swell. This may be because the histiocytes have migrated and proliferated there or because there is a reaction to secondary infection. Puppy strangles has massive enlargement of the lymph nodes of the neck followed by pustules and nodules on face and neck, which weep purulent material. Systemic histiocytosis is a chronic, debilitating disease usually in young Bernese Mountain Dogs. It has a fluctuating course with lumps affecting the skin, lymph nodes, eyes and other tissues. It is rarely fatal although progressive. Benign and malignant forms are probably extremes of a single disease. Malignant disease is characterized by single to multiple lumps that often progress and multiply rapidly. It occurs in older dogs and is multicentric, commonly involving spleen, liver, lung, kidney, lymph nodes and bone. "Cytology is not able to distinguish reactive histiocytosis from inflammatory reactions." Clinically, your veterinarian may suspect one of these conditions, but accurate diagnosis relies upon microscopic examination of tissue. To obtain the appropriate samples, your veterinarian may recommend one or more of various sampling techniques such as fine needle aspiration, punch biopsy and full excision. The sample will be prepared and examined by either cytology or histopathology. Cytology is the microscopic examination of cell samples obtained by needle aspiration. This is useful for rapid or preliminary screening and may show malignant cells where there is malignancy. Cytology is not able to distinguish reactive histiocytosis from inflammatory reactions. Histopathology is the microscopic examination of tissue samples that have been specially prepared and stained. Histopathology will give the most accurate diagnosis, prediction of behavior (prognosis). Histopathology also rules out other forms of cancer. Your veterinarian will submit the samples to a specialized laboratory for examination and diagnosis by a veterinary pathologist. The piece of tissue may be a small part of the mass (biopsy) or the whole lump. "Histopathology of a single lump does not indicate whether there is systemic disease or the extent of it." The information obtained by examining the whole lump will be more informative and also may indicate whether the cancer has been fully removed. However, histopathology of a single lump does not indicate whether there is systemic disease or the extent of it. Surgical removal of lumps is the first line of treatment if possible. Microbiological investigation of underlying causes of histiocytosis should, in theory, be next but can be expensive, is complex and may not assist in diagnosis. Serology for Leishmaniasis is helpful in endemic areas. To date, serology for organisms such as Borrelia has not proved helpful. Cutaneous histiocytosis may respond to immunosuppressive (high dose) drugs such as steroids. This may have unpleasant side effects. Other drugs that have been used include other immune system modulators, some of which can also promote killing of infectious agents. No single treatment is successful in every case. The condition may worsen on maintenance therapy. 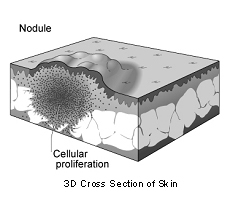 In some cases, the sebaceous glands, which produce the skin's protective oils, are destroyed by this disease. If this happens, symptomatic treatment for dry skin may help reduce secondary skin problems. Leproid granulomas usually regress but they can be removed surgically. Leishmania needs specific treatment. Juvenile sterile granulomatous dermatitis and lymphadenitis (puppy strangles) responds permanently to high (immunosuppressive) doses of glucocorticoids. Secondary bacterial infection usually needs treatment. Histiocytic sarcomas spread rapidly in many cases. Multiple tumors are uniformly fatal with involvement of many organs. Attempts at chemotherapy have not been successful and there is no known treatment. Can these tumors disappear without treatment? Histiocytosis is often a disease that comes and goes. Sometimes it disappears completely without treatment, presumably because the stimulus has gone. The body's own immune system may cause it to regress and there is often spontaneous death of central areas (necrosis). "These cancers do not disappear although there may be remissions and times when the early stages remain static." These cancers do not disappear although there may be remissions and times when the early stages remain static. As development is a multi-step process, it may stop at some stages. The body's own immune system can also kill the cancer cells but it is rarely 100% effective. How can I nurse my dog? Preventing your dog from scratching, licking or biting the lumps will reduce itching, ulceration, secondary infection and bleeding. Any ulcerated area needs to be kept clean. After any surgery, you need to keep the incision site clean and dry and prevent your pet from interfering with it by rubbing, licking, biting or scratching. Report any loss of stitches or significant swelling or bleeding to your veterinarian. If you require additional advice on post-surgical care, please ask. How or when will I know if this is permanently cured? The histopathology report will give your veterinarian the diagnosis that helps to indicate how the condition is likely to behave. The veterinary pathologist usually adds a prognosis that describes what is likely to happen. Histiocytosis often recurs so it is difficult to be certain when it is cured. Histiocytic sarcomas spread rapidly in many cases. Multiple tumors are uniformly fatal with involvement of many organs. Newly developing masses may need investigation and treatment as outlined above. "There are no records of spread by close contact between animals and people." Although cutaneous histiocytosis may be due to infections, there are no records of spread by close contact between animals and people. The tumors do not occur in clusters in a household or neighborhood unless an infection such as Leishmania is involved. Routine hygienic precautions (such as washing your hands after handling your pet) are always advisable.